Disclosure: When you buy through links on this site, we may earn a commission. Disclosure: Watchdog Labs is free to use. When you buy through links on this site, we may earn a commission. 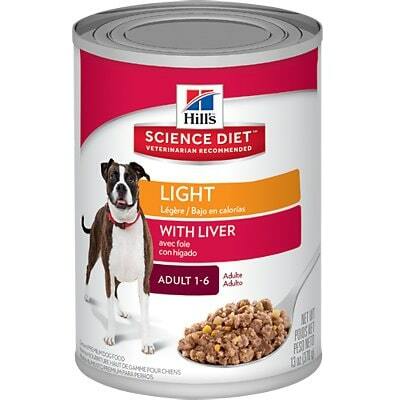 Please be aware that Hill’s is voluntarily recalling some canned dog food due to potentially elevated levels of Vitamin D. More information here. 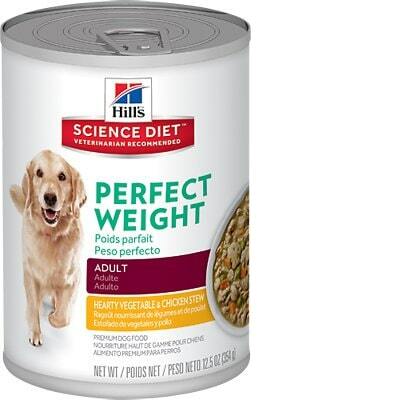 Hill's Science Diet Adult Perfect Weight is a mid-priced wet dog food with overall lower quality. This product contains 5 controversial ingredients, including an added artificial flavor. The food has a high amount of carbs, compared to its protein and fat content, but excellent meat and fat content. Hill's Pet Food has an above-average number of recalls. The company, however, was very open and transparent when answering our questions. Learn what makes a great dog food and get expert advice on how to choose the best food for your dog. This dog food review was created by experts who love dogs. Find out more about our team and mission. 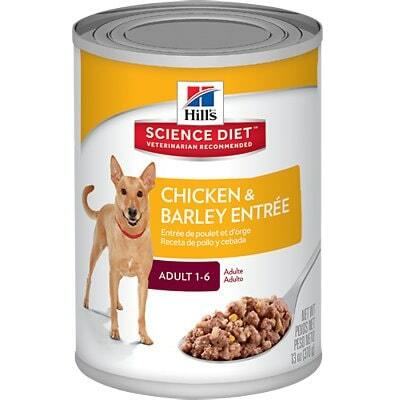 This food has a fair amount of protein but it’s high in carbs, which is lowering the fat content and making it less nutritionally balanced compared to other dog foods we evaluated. Carbohydrates are cheap so they keep the food’s cost low. They are nutritionally useful to dogs in the right amounts, however, high amounts of carbs can reduce the much-needed meat-based protein and fat content. This product has an below average amount of calories for wet food. It’s important to understand how many calories you are feeding to prevent under or overfeeding. 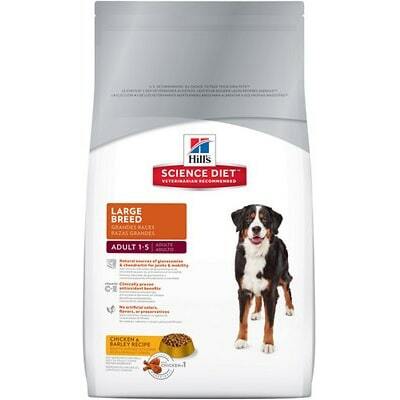 Based on your dog's current weight and activity level you may want to feed more or less than the recommended amount. This is a weight-loss dog food so this makes sense in that context. This is a grain-free dog food. The FDA is investigating a potential connection between grain-free diets and canine heart disease. There is not enough evidence yet to affect our ratings but we've created an article for you explaining the topic. Chicken Broth, Pork Liver, Carrots, Green Peas, Powdered Cellulose, Rice Starch, Chicken, Rice, Spinach, Wheat Gluten, Dried Tomato Pomace, Flaxseed, Chicken Liver Flavor, Coconut Oil, Potassium Alginate, Calcium Chloride, Fish Oil, Egg Flavor, Guar Gum, Dicalcium Phosphate, L-Lysine, Sodium Tripolyphosphate, Calcium Lactate, Calcium Gluconate, Lipoic Acid, vitamins (Vitamin E Supplement, Thiamine Mononitrate, Ascorbic Acid (source of Vitamin C), Niacin Supplement, Pyridoxine Hydrochloride, Calcium Pantothenate, Vitamin B12 Supplement, Menadione Sodium Bisulfite Complex (source of Vitamin K), Riboflavin Supplement, Biotin, Vitamin D3 Supplement, Folic Acid), Potassium Citrate, Taurine, minerals (Zinc Oxide, Ferrous Sulfate, Manganese Sulfate, Copper sulfate, Calcium Iodate), Iodized Salt, L-Carnitine, Beta-Carotene. The average dog food we reviewed has 39 total ingredients, with 1 controversial ingredient. This product has 5 total controversial ingredients and 1 of them is found in the first five ingredients. This is concerning because the first 5 ingredients make up most of the product. 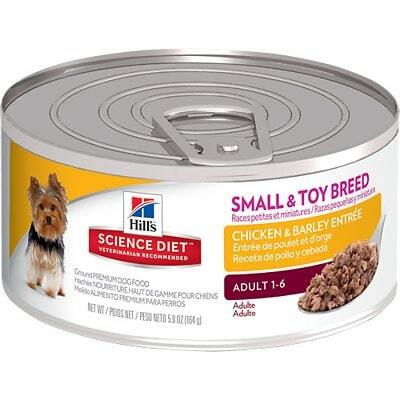 Dog food ingredients are listed in descending order of weight. So when looking at a dog food label, take a close look at the first 5 ingredients. They make up about 80% of the total weight. Chicken broth is often used as a healthy natural flavor or instead of water when making dog food. It makes dogs more likely to eat the food and adds moisture but doesn't provide a lot of nutritional value. Chicken Broth is generally a healthy dog food ingredient. Pork liver is an organ that contains healthy nutrients like calories, protein, vitamins and minerals. Specifically, it's rich in iron, copper, vitamin A and B. We consider it a high-quality dog food ingredient. Carrots are a root vegetable and contain healthy nutrients like carbohydrates, fiber and beta-carotene. We consider it a high-quality dog food ingredient. Green peas are a good source of carbs, fiber and protein. Peas are starchy but high in vitamin A, vitamin B6, vitamin C, vitamin K, phosphorus, magnesium, copper, iron, and zinc. We consider this a healthy dog food ingredient. The U.S. Food and Drug Administration (FDA) has warned that there is a potential link between peas and canine heart disease. It is still too early to draw conclusions so we cannot yet say if peas are a generally high-quality dog food ingredient or should be avoided. Cellulose is a non-digestible fiber that's made from vegetable waste products. Besides a small amount of fiber, cellulose provides no nutritional value for your dog so we do not consider it a high-quality dog food ingredient. Powdered cellulose can be made from many plant sources and is often added as a low-quality fiber or binding agent. While it is technically safe for dogs to ingest and can have benefit's related to digestion, it is often used in excess as an inexpensive filler that provides no nutritional value to your dog. Artificial flavors are added to increase the chance your dog will want to eat the food. The generic term artificial flavor is used to represent a large number of possible additives, some which could be harmful. These flavors may include but not list controversial ingredients such as propylene glycol, BHA and more. Another artificial flavor. The generic term artificial flavor is used to represent a large number of possible additives, some which could be harmful. A synthetic version of Vitamin K (known as Menadione) which is added due to the lack or loss of Vitamin K in the food processing. Menadione supplements are banned by the FDA because of their potential toxicity in human use and can be found as 10+ different names on a label. While low amounts have been found to be safe, the consistent repetitive nature of a dogs diet results in the long-term exposure that should be considered. Fish oil, in general, is very nutritious, supplying healthy Omega fatty acids and other nutrients to your dog. However, this ingredient doesn't show which animal(s) it's actually made from, making it less transparent and potentially low-quality. Because of that, we consider it a controversial ingredient. Hill’s dog food is made in the United States, which ensures a high level of food quality standards. Pork Liver, Chicken and Coconut Oil are transparently showing their origin. However, this food also contains more genetically labeled Fish Oil, which leaves you to speculate what animal this comes from specifically. So overall, the quality of meats and added fats is somewhat mixed here. This product contains no controversial preservatives. It’s good to know that ‍not all artificial preservatives are bad. That’s because they serve an important purpose, which is to prevent food from spoiling. However, we consider 11 artificial preservatives controversial because of their potential link to cancer and other serious health conditions. No artificial colors, either. That’s really great. Chicken Liver Flavor and also Egg Flavor are used in this dog food. Both are artificial flavors that are unnecessary and controversial, see above. The food would be better without them. 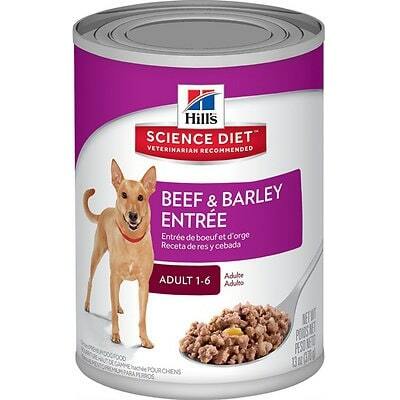 Hill’s has an above-average number of dog food recalls. Here are more details. 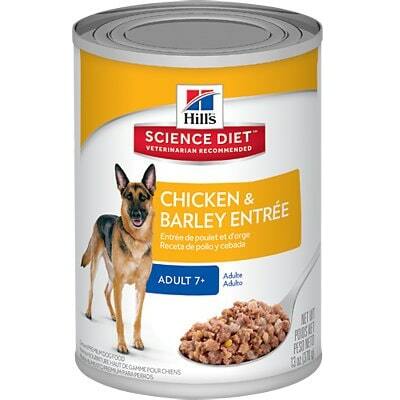 "Hill’s Prescription Diet: c/d Multicare Canine Chicken & Vegetable Stew, 12.5 oz., SKU #3384, Lot #102020T10 or 102020T25 i/d Canine Chicken & Vegetable Stew, 12.5 oz., SKU #3389, Lot #102020T04, or 102020T10, or 102020T19 i/d Canine Chicken & Vegetable Stew, 5.5 oz., SKU #3390, Lot #102020T11, or 112020T23, or 122020T07 z/d Canine, 5.5 oz., SKU #5403, Lot #102020T17 or 112020T22 g/d Canine, 13 oz., SKU #7006, Lot #112020T19 i/d Canine, 13 oz., SKU #7008, Lot #092020T30, or 102020T07, or 102020T11, or 112020T22 j/d Canine, 13 oz., SKU #7009, Lot #112020T20 k/d Canine, 13 oz., SKU #7010, Lot #102020T10 w/d Canine, 13 oz., SKU #7017, Lot #092020T30 or 102020T11 z/d Canine, 13 oz., SKU #7018, Lot #102020T04 or 112020T22 Metabolic + Mobility Canine Vegetable & Tuna Stew, 12.5 oz., SKU #10086, Lot #102020T05 or 102020T26 w/d Canine Vegetable & Chicken Stew, 12.5 oz., SKU #10129, Lot #102020T04 or 102020T21 i/d Low Fat Canine Rice, Vegetable & Chicken Stew, 12.5 oz., SKU #10423, Lot #102020T17, or 102020T19, or 112020T04 Derm Defense Canine Chicken & Vegetable Stew, 12.5 oz., SKU #10509, Lot #102020T05 Hill’s Science Diet: Adult 7+ Small & Toy Breed Chicken & Barley Entrée Dog Food, 5.8 oz., SKU #4969, Lot#102020T18 Puppy Chicken & Barley Entrée, 13 oz., SKU #7036, Lot#102020T12 Adult Chicken & Barley Entrée Dog Food, 13 oz., SKU #7037, Lot#102020T13 or 112020T23 Adult Turkey & Barley Dog Food, 13 oz., SKU #7038, Lot#102020T06 Adult Chicken & Beef Entrée Dog Food, 13 oz., SKU #7040, Lot#102020T13 Adult Light with Liver Dog Food, 13 oz., SKU #7048, Lot#112020T19 Adult 7+ Chicken & Barley Entrée Dog Food, 13o oz., SKU #7055, Lot#092020T31 or 102020T13 Adult 7+ Beef & Barley Entrée Dog Food, 13 oz., SKU #7056, Lot#092020T31, or 112020T20, or 112020T24 Adult 7+ Turkey & Barley Entrée, 13 oz., SKU #7057, Lot#112020T19 Adult 7+ Healthy Cuisine Braised Beef, Carrots & Peas Stew Dog Food, 12.5 oz., SKU #10452, Lot#102020T14 or 102020T21 Adult 7+ Youthful Vitality Chicken & Vegetable Stew Dog Food, 12.5 oz., SKU #10763, Lot#102020T04 or 112020T11"
FDA recalls use classes from I (most serious) to III (least serious). 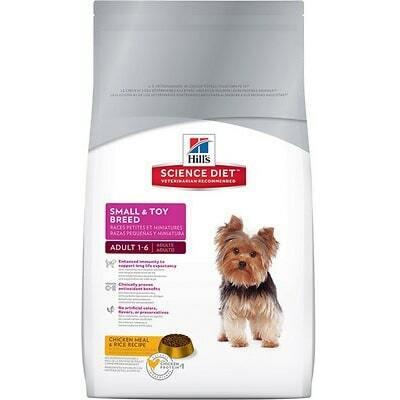 Hill's Science Diet Adult 1-6, Small & Toy Breeds, Premium Natural Dog Food, packaged in 15.5 lb (7.03 kg) bags. Manufactured by: Hill's Pet Nutrition, Inc., Topeka, KS. The product may be contaminated with Salmonella. We love dog food brands that are committed to transparent business practices. If you make quality dog food you should be willing to openly talk about how it’s sourced and produced. That’s why we reached out to pet food companies, asking questions about all their brands and products. Each company had three weeks to reply to our messages. How Easy Was it to Reach the Company? Hills is owned by Colgate-Palmolive, and responded to the first email in 3 days, but provided incomplete answers and suggested a phone call. Depending on the context of the question, this could be seen as helpful or it could be seen as a hurdle to receive an answer. The answers below are a combination of both email and phone responses and will be clear where the info came from. Since the call was not recorded, the responses received from the call has been paraphrased - they should not be seen as exact statements from the company. 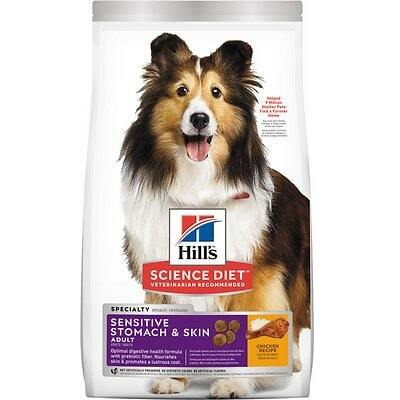 More than 150 veterinarians, food scientists, technicians and PhD nutritionists at Hill's develop Science Diet® and Prescription Diet® brand pet foods to meet the needs of your pet when it's well or when it's sick. Can't share the names of these professionals for privacy reasons. Each ingredient is analyzed to ensure its safety before it is included in the food your pet eats. We analyze our products' ingredient profile for over 50 nutrients and conduct feeding trials to ensure your pets get the precise nutrition they need. We do utilize feeding trials, While some of our Science Diet® products were launched "as formulated", the feeding trials will continue in the background and labels will be adjusted as the trials are completed. We do utilize the AAFCO feeding trials, the info will be on the bag. We make every bag of our dry pet food in our own US facilities with highest quality natural ingredients from North America and Europe. These ingredients must meet our strict requirements for purity and nutrient content, which exceed industry standards. With our manufacturing facilities, we do not have tours. We maintain the highest standards of quality control for our manufacturing facilities, our ingredients, and our finished products. We source meat and poultry ingredients from USDA inspected plants. As part of a vigorous vendor certification program, vendors must check raw ingredients before shipment to our manufacturing facilities. Frequent inspections of our suppliers, analytical testing of incoming ingredients, and testing of our finished products all confirm our commitment to quality. Also, Hill's® demands compliance with current Good Manufacturing Practices (cGMP) and Hill's high quality standards, so your pet's food is produced under clean and sanitary conditions. The pet food industry is highly regulated in the U.S. by the USDA, FDA and state departments of agriculture. Additionally, Hill's® is a member of the Pet Food Institute, a trade industry organization that works to maintain high quality standards in pet food manufacturing. We own our manufacturing facilities, we do not outsource production. Learn about common dog food topics quickly. You've got questions - we've got science-based answers. Find out what makes a great dog food and how to choose the right product for your dog's individual needs. Skip the marketing tricks and learn how to check dog food labels. We'll show you excatly what to look for. You dog's poop can tell you a lot about her health. Hold your nose, take a peek, and become a turd expert. From grain-free and raw to fillers. Find out the truth about common dog food misconceptions. The FDA is investigating a potential connection between grain-free foods and canine heart disease. Quickly check what goes into dog food and if it's good for your pup. Get the truth, from A to Z. From artificial flavors to added sugars, find out which ingredients to skip when shopping for dog food. The food label only tells half the story. Discover how you can easily see the carbs and real nutrients of any dog food. Linda P Case, MS; Daniel P Carey, DVM; and Diane A Hirakawa, PhD, Canine and Feline Nutrition A Resource for Companion Animal Professionals, Mosby-Year Book, Inc.